When you’re coming to study at Brescia, you have the opportunity to live in residence! Residence is usually for first-years but there are also some upper-year students here too. There are different options for rooms, for every budget and need. You can choose your own bedroom and bathroom or choose your own bedroom and a shared bathroom (with only one girl) or a shared bed and bathroom with another girl. These rooms look amazing, it feels like a hotel! 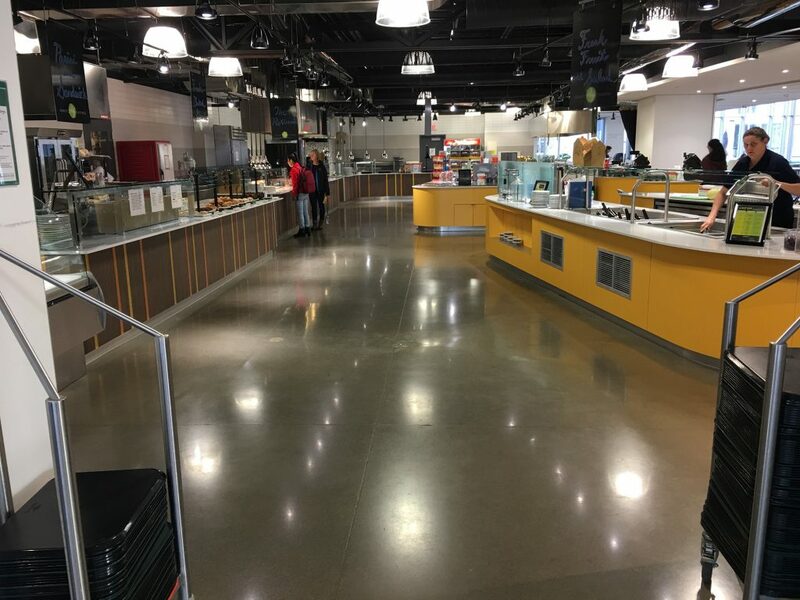 When you live in residence, you have the option to get a meal plan, since you don’t always have the materials and time to cook your own meal. There also an eatery at Brescia next to the residence called the Mercato. Not having to cook sounds like a dream! The Mercato serves breakfast, lunch, dinner and late night snacks. And there’s always so many choices. For breakfast there is a variety of cereal, scrambled eggs, pancakes, muffins, fresh fruit and sandwiches. 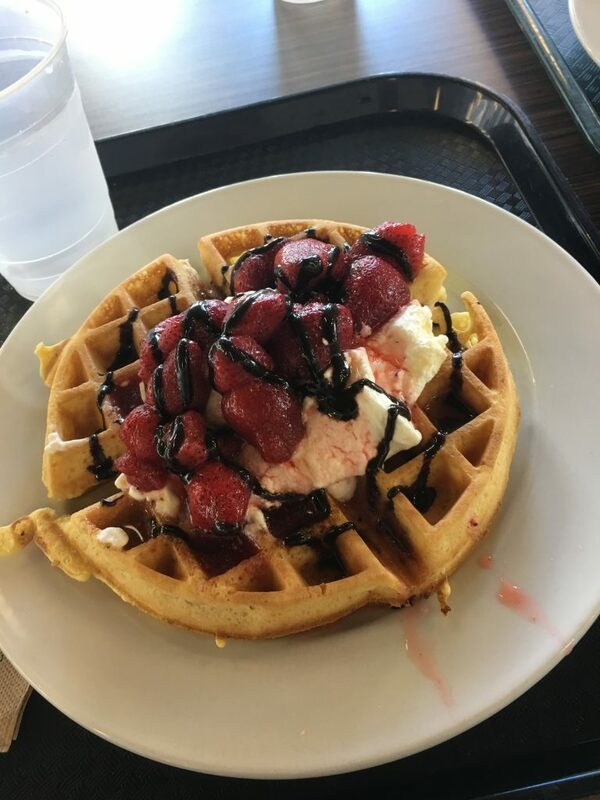 My favourite thing is Waffle Day on Sunday! Probably not the healthiest choice but it’s a great treat once a week! 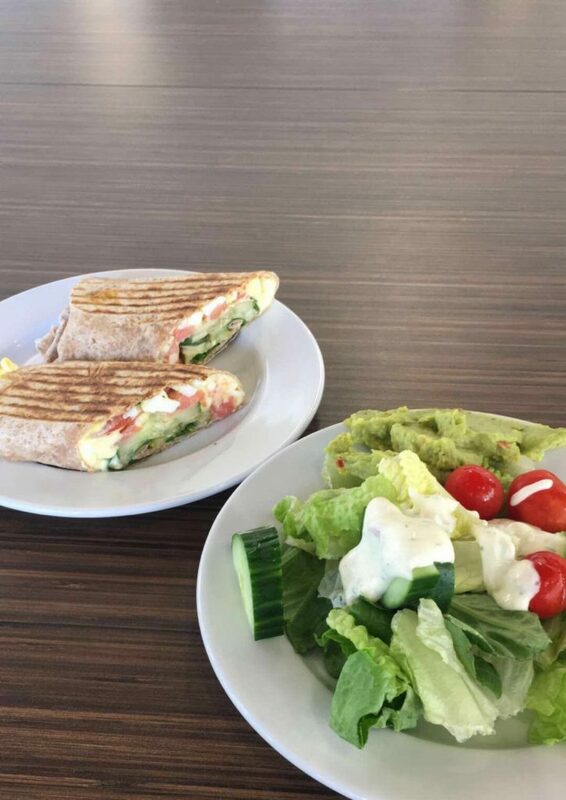 Lunch and dinner have a variety of sandwiches, soups, pizza, a salad bar, and complete meals like rice, potatoes, noodles, vegetables and meat. They also offer a global meal, which is a different meal every day from a different culture around the world. Then there’s the grill, which includes foods like french or sweet potatoes, burgers, cheeseburgers, quesadillas, (my favorite of course) caesar salads and a lot more! There are also lots of options for those who are vegetarian or have special dietary restrictions. The meat that is used here is halal and most of the items are all organic, so that’s a bonus! And of course there are all the treats you can imagine to satisfy student cravings! There is also a Starbucks kiosk with snacks ‘to-go’ and lots of yummy hot and cold beverages! This is starting to feel like a commercial, but it’s all so good and healthy! Check out the Mercato Weekly Specials, to take a peak at the types of meals offered.